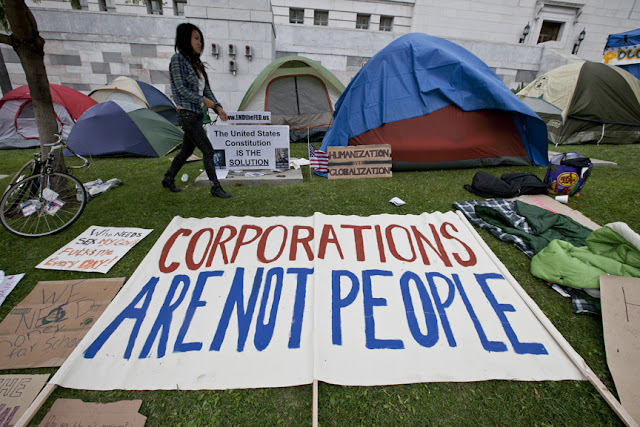 L.A. City Councilmen Eric Garcetti and Bill Rosendahl give their support to the Occupy LA movement. 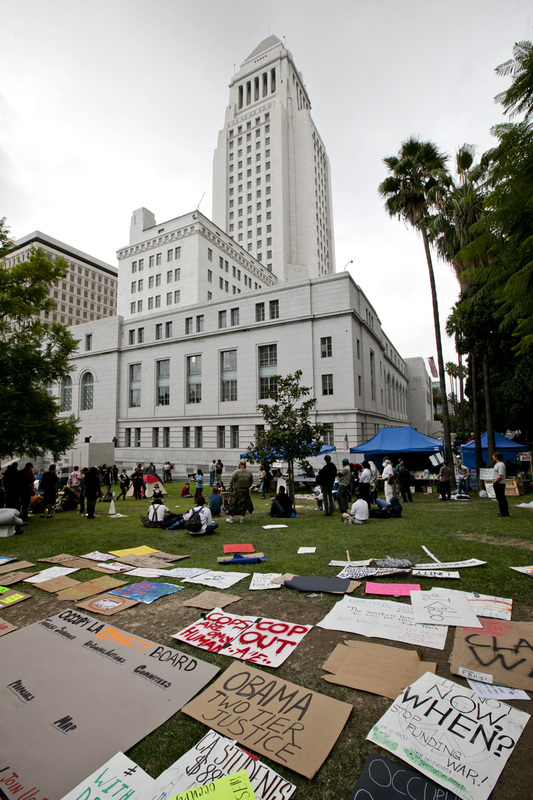 Both of them spoke briefly to a small crowd of protesters, many of whom spent the last couple of nights sleeping in front of LA City Hall. 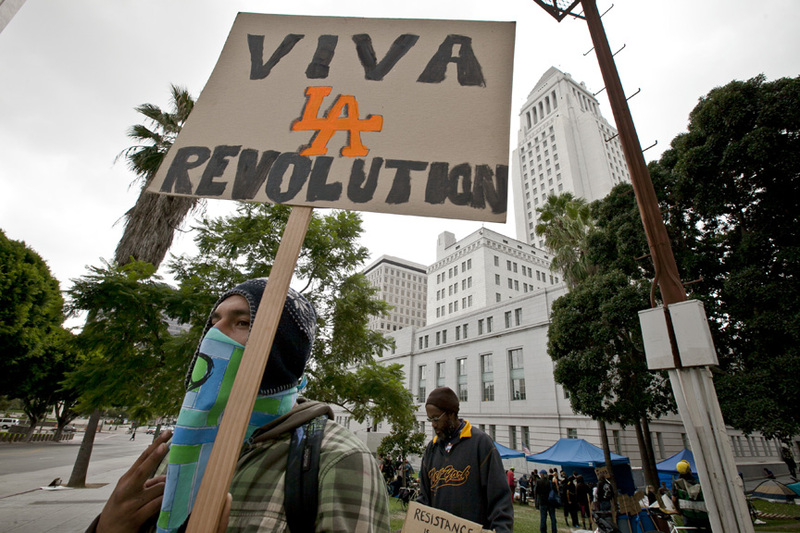 Councilman Rosendahl said he would enter an official resolution to support the Occupy LA movement, during Wednesday's council meeting. 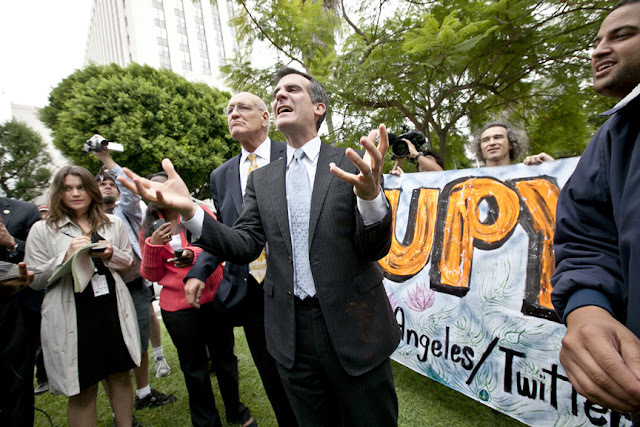 LA City Councilman Eric Garcetti speaks to the Occupy LA protesters. 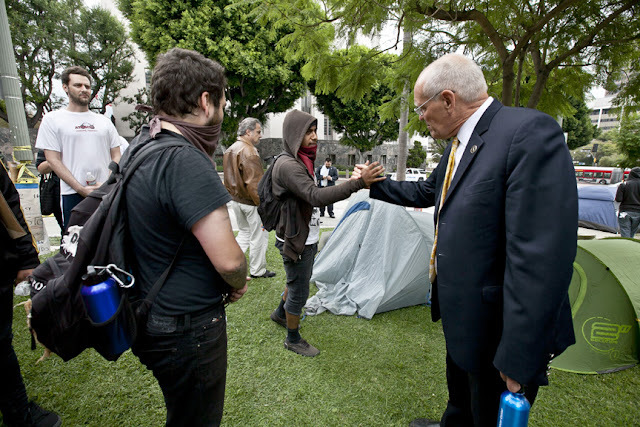 LA City Councilman Bill Rosendahl shakes hands with a Occupy LA protester.